There are many factors that must come together in order for a customer to feel comfortable enough to make a purchase. The aura of the store is a very important part of equation, and by aura I mean the look and feel of your store. 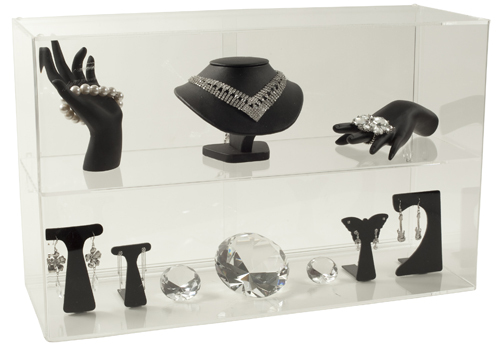 We have three beautiful acrylic cases that can help your store achieve an atmosphere that is warm and welcoming. 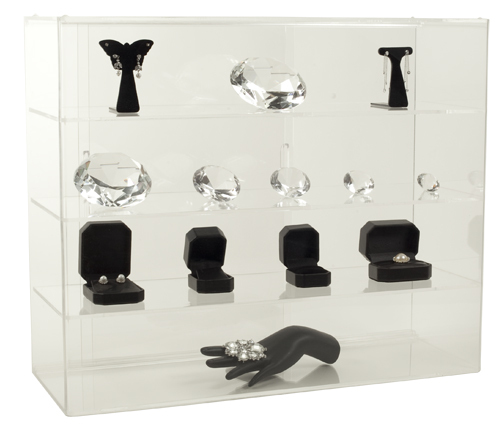 Our acrylic cases come in two, three, and four levels. They are light and easy to transport; the clear acrylic is very sturdy.Â They also have a lock in the back for safety. 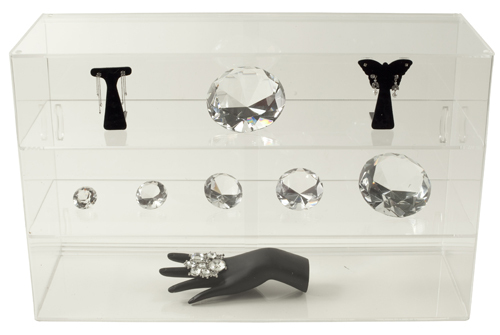 These acrylic cases make any Jewelry display look clean and presentable. You can put anything from Polystyrene Figurines to earring stands and necklace stands, whatever you’d like, as long as they fit. Don’t shy away from purchasing these cases if you don’t have a jewelry store, because you can place any type of product inside the acrylic cases. You will not regret purchasing an acrylic case from us!